The great universe is boundless. As for how small it is, it is like an atom. Grasping and releasing, developing and declining, are not in others' hands; they are all in your own. If you want to get rid of encumbrances and cut through entanglements, you must transcend form and sound and remove all trace of the activity of mind; then you will be in an impregnable position and absolutely independent, like a thousand-fathom cliff. Tell me, who was ever like this? See the following. they don't fall into ordinary ways, and don't travel among different kinds. Tell me, whose way of practice is this? Xuefeng, instructing the assembly, said, “There's a turtle-nosed snake on the South Mountain. who said, “Only my Elder Brother Changqing could say something like that. The monk asked, “What then would you say, Master”? Yunmen threw his staff in front of Xuefeng and acted frightened. "Turtle-nosed": i.e., poisonous. The “South Mountain” [Nanzan] was the place where Xuefeng resided. 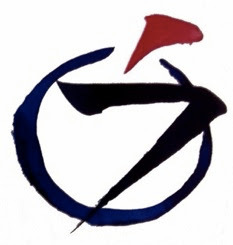 Or: “Today in the Zen hall there is a great person who has lost his body and life” (Sato note); "Today, in this temple, there is obviously one man who has lost his life" (Sekida). Or: "even though he's right, I do not concur" (Cleary); "as for me, I am different" (Sekida). Or: "made a gesture of fright" (Cleary); "gave the appearance of being afraid" (Wick). If you see something strange as not strange, it's strangeness disappears by itself. What a strange thing! Unavoidably it causes people to doubt. Aha! A case of over-indulgence. Changqing escorts the thief. He judges others on the basis of himself. There's no different dirt from the same hole. When the manservant sees the maidservant he takes care. Those with the same disease sympathize with each other. He doesn't avoid forming a wild fox spirit view. What news is this? His poison breath afflicts others. He too presses the old fellow well. On a boat fishing, Xuansha. Only this wild fox spirit has attained a little. He's lost his body and his life and doesn't even realize it. Why be afraid of it? One son has intimately attained. All of them are giving play to their spirits. All of you try to discern this. Holding up a sitting mat, I say, "This isn't borrowed." Hearing the wind, he raises his voice. Staked up no more than three. Foxes associate with foxes, dogs with dogs. If there's a longer snake than this, bring it out. A poison insect on the head makes an itch. Just this turtle-nose is still beyond the pale. How can you injure your own life? Only the skilled could try it. Those who arrive must be expert snake handlers. How many truly lost their lives? How many lose their lives? The snake -- its nature so -- was nowhere to be found. South, north, east, west, there's no place to search. Opened its mouth right before Xuefeng. Thrown in front of Xuefeng, it opens wide its mouth. By the time you raise your eyebrows you don't see. If you want to see it, look at it directly. Let those who come each observe expedient means. I shout, "Look out beneath your feet!" Look right at your feet! Xuansha's great vigor; Changqing's small bravery. where wind and clouds gather the head sprouts horns. As expected, we see Yunmen take a hand and fiddle around. Among brilliant lightning flashes see the change! In a flash of lightning, see the change and movement. When it's mine I can let go or call back. When it's with him he grabs and releases. With him, there's capture, there's release. What's that! Right now can you give it to someone? The underlying matter -- to whom is it imparted now? Its chill mouth rends them, but men don't feel the pain. The cold mouth wounds people, yet they don't feel the pain. Xuefeng travelled with Yantou and Qinshan. In all, he went to Mt. Touzi three times, and climbed Mt. Dong nine times. Later he called on Deshan, and only then did he smash the lacquer bucket. One day he went along with Yantou to visit Qinshan. They got as far as an inn on Tortoise Mountain (in Hunan) when they were snowed in. Day after day Yantou just slept, while Xuefeng constantly sat in meditation. Yantou yelled at him and said, "Get some sleep! Everyday you're on the meditation seat, exactly like a clay image. Another time, another day, you'll fool the sons and daughters of other people's families." Xuefeng pointed to his breast and said, "I am not yet at peace here; I don't dare deceive myself." Yantou said, "I had thought that later on you would go to the summit of a solitary peak, build a hut of straw, and propagate the great teaching: but you're still making such a statement as this." Xuefeng said, "I am really not yet at peace." Yantou said, "If you're really like this, bring forth your views one by one; where they're correct I'll approve them for you, and where they're wrong I'll prune them away for you." Then Xuefeng related, "When I saw Yanguan up in the hall bringing up the meaning of form and void, I gained an entry." Yantou said, "Henceforth for thirty years avoid mentioning this." Again Xuefeng said, "When I saw Dongshan's very on crossing the river, I had an insight." Yantou said, "This way, you won't be able to save yourself." Xuefeng went on, "Later when I got to Deshan I asked, 'Do I have a part in the affair of the vehicle of the most ancient sect or not?' Deshan struck me a blow of his staff and said, 'What are you saying?' At that time it was like the bottom of the bucket dropping out for me." Thereupon Yantou shouted and said, "Haven't you heard it said that what comes in through the gate is not the family jewels?" Xuefeng said, "Then what should I do?" Yantou said, "In the future, if you want to propagate the great teaching, let each point flow out from your own breast, to come out and cover heaven and earth for me." At these words Xuefeng was greatly enlightened. Then he bowed, crying out again and again, "Today on Tortoise Mountain I've finally achieved the Way! Today on Tortoise Mountain I've finally achieved the Way!" How can you dwell for long in the fleeting world? Already over forty, I return to Min. One's own mistakes must be cleared away continually. The King of Death has no awe of the golden emblems of rank you wear. Baizhang asked Huangbo, "Where are you coming from?" Huangbo said, "I've been at the foot of Mt Daxiong picking mushrooms." Baizhang said, "See any tigers?" Huangbo then made a tiger's roar. Then Baizhang picked up an axe and made a chopping motion; Huangbo then slapped him. Baizhang chuckled and went back and and ascended his seat and told the assembly, "There's a tiger on Mt. Daxiong; all of you should watch out for him. Today I myself was bitten by him." Two men of understanding meet. The ancient song has no rhyme. When Xuefeng speaks this way, "On South Mountain there's a turtle-nosed snake" tell me, where is it? To get here you must be a transcendent person; only then will you be able to understand such talk. Yunmen has the ability to handle snakes, and doesn't run afoul of the sharp point. His throwing down his staff and making a gesture of fright -- isn't this giving play to his spirit? Doesn't he lose his body and life too? Turtle-nosed snake is an age-old, bent-headed, venomous serpent. All the Buddhas, patriarchs, and Zen masters were once swallowed by this snake. They came out enlightened and themselves became venomous serpents. The allegory of the snake may seem strange at first, but it is common in Zen literature. It means that you must once undergo the Great Death. "Obviously one man who has lost his life." Changqing is saying, "It must be particularly mentioned that there is a man here who has experienced the Great Death." Changqing is speaking of himself. He wants to respond to his teacher's instruction. "What use is there in making use of the South Mountain?" Zen is everywhere. It is pointless to try to localize it. (It was Xuansha who said "Bodhidharma did not come from the West, the Second Patriarch did not go to India.") Xuansha meant, "If I were Changqing, I would have said, 'What use is there in making use of the South Mountain?'" The South Mountain was a hill located to the south of Xuefeng's temple. Yunmen threw himself into the staff and, becoming the serpent, sprang into Xuefeng's presence. His gesture as if he were afraid is another matter. When you are the serpent itself, you are the serpent itself; when observing the serpent, you are observing the serpent. Turtle-nosed snake -- This is borrowing a name to enable people to discuss this matter. Baizhang called it a tiger; Zhaozhou called it going to drink tea; Linji called it the true human with no status; Mazu called it Sun Face Buddha, Moon Face Buddha; Dongshan called it a three-foot head with a two-inch neck; Yunmen called it a dry piece of crap; Dongshan called it three pounds of flax. It is called orth at will, sometimes as a staff or a cane, sometimes as a bamboo stick. Xuefeng's idea is to look and see what it is. All the people on earth, having been bitten by Xuefeng, are unable to life their heads; all of them have died on account of the snake. What's the use of South Mountain? -- Not only is the snake not needed, even South Mountain has no use. Yunmen makes a gesture of fright: this is his method of handling the snake. The poison snake of South Mountain is the Original Self, the True Dharma. If you don't know what it is, you had better look out. Changqing expresses that absolute sameness, absolute equality, the intrinsic state of oneness. You have to realize it, and through that realization you will see and appreciate that world of absolute equality. This is what it means to lose your life in Zen. Xuansha points to the world of absolute difference. Everybdy and everything is equal in the True Dharma, yet there is South Mountain and North Mountain, old women and young men, good and evil. Xuansha's absolute difference is not ordinary difference; it covers everything and swallows heaven and earth -- and swallows itself too! Yunmen shows being beyond words and thoughts. Is he expressing equality or difference, emptiness or form? Sometimes you see the difference, sometimes the sameness. If it changes as fast as a lightning flash, as it says in the verse, what is it? Same or different? Putting aside same and different: There's a poison snake on South Mountain All of you had better look out! "poisonous snake" means, of course, our essential nature. "Being bitten by the snake" means coming to kensho, with the mind and body fallen off. right. Everyone of us is a poisonous snake. In fact, all human beings are poisonous snakes! And these poisonous snakes are wonderful snakes! That's why Xuansha says that the poisonous snakes aren't limited to South Mountain. They are everywhere. If you think Yunmen made a snake out of the staff, you are wrong. That would be mere play. You must understand that he presented the poisonous snake itself. In fact, Yunmen liked to make use of his staff. Blue Cliff Record #60 says, "Yunmen showed his staff to the assembly and said, 'This staff has changed into a dragon and has swallowed up heaven and earth.'" He means to say, "This staff has become a dragon and gulped down the entire universe." So the same staff is at one time a dragon, another time a snake. How true! A single staff exhausts the entire universe. Yunmen's presentation is outstanding. In short, the "poisonous snake," the cobra, has come out as the essential nature here. It is nothing but our essential nature that is the topic of this koan. Our "essential nature" and the "essential world" are one and the same. That is what this koan is dealing with. Every one of us is a crossroads of danger. it's as fine as atomic dust. this is a spirit who sees a spirit, a thief who knows a thief. Why gather then in a herd? You must run with the pack to be one of them. Fallen in the weeds! Where is the snake? I strike! Raise your eyebrows to look and you won't see. A tiger, a serpent, an arrow? Don't look under his feet, but under your own. Repeated words are not worth enduring. Xuefeng's "Look Out for the Snake"
as if it were candy floss. Poison gets rid of poison. of orange and scarlet and bronze. Half a second later: "snake." I jumped first, and then saw it.